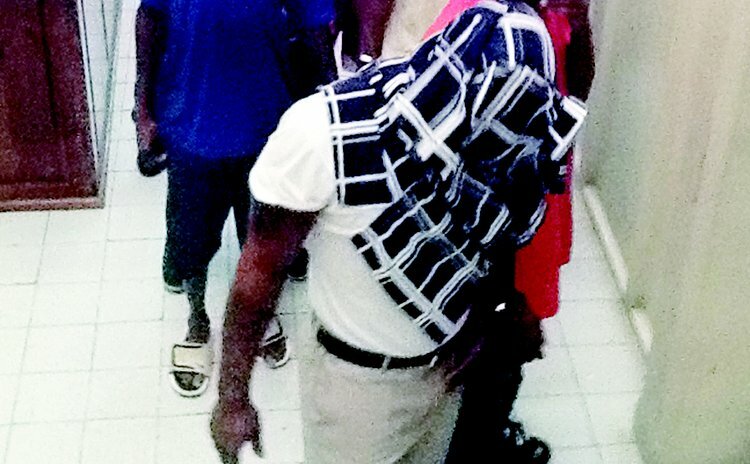 The second attempt of the trial of Shane Degallerie, 28, of Roseau charged with the murder of 18-year old Justin Julian Joseph of Fond Cole was well under way at the Roseau High Court as the SUN prepared to go to press. Joseph died of a stab wound in a bar at Pottersville on April 23, 2010. Four witnesses have given evidence after three days which started with the first witness, Evalette Smith, spending two days on the witness stand before trial judge Birnie Stephenson and a jury of seven men and two women. Leading the prosecution was Acting Director of Public Prosecutions Julian Prevost with the assistance of State Attorneys Sherma Dalrymple and Arthlyn Nesty. Attorney Zena Dyer led the defence with the support of Attorney Gina Munro. The hearing of that case began during the September 2012 but was aborted on the first day of the second week because the judge received a medical certificate from one of the jurors. During last week's trial, Evalette Smith, the owner of a shop/bar on Steber Street in Pottersville told the court she was present when the incident occurred. She sold snacks and had a domino table on the pavement outside her small premises. On Friday evening April 23, 2010 about 7:00pm she was bringing snacks from her home to her shop where there were guys playing dominoes. The accused whom she has known since he was about 2-3 years old, was paired off with a guy called Dogshah. They were playing against Fitzroy (Joseph) and Kenrick (Dowad). The accused had on an old white T-shirt and ¾ length dark trousers. Dogshah and Shane lost a match, Smith told the court. Dogshah told Shane he could not play dominoes and Shane became angry. In a move to calm the situation, Smith told her niece to join her at the table in a game of dominoes, "to change the momentum. It was too heated up. We lost our game. Shane and Dogshah were nowhere to be seen. I went back behind the counter." Some minutes later, "there came Shane again. He looked at me. I looked at him. He said, play a Beres Hammond. He went back outside. So I got a little concerned. So I had my guard on. I did not say anything to anybody." Evalette Smith told the court that about 15-30 minutes later, a guy called Sam (Abraham Bannis) came in a vehicle with the deceased, a young lady and (Shawn) Walsh. "I served them, and then Shane came in. He didn't order anything so I gave him a Heineken. He gave it to one of the guys playing dominoes outside. Then everybody went outside. Justin (Joseph) the deceased came back in and Shane followed him and playing up in his face in an irritable way". She told Shane to leave the deceased alone because he didn't like it. The deceased said: "You know I don't like man to play with me." "Then Sam came in," continued Smith. Shane went on to play with Justin's nose, and Justin said: "You know I don't like man to do that to me." "So I told Shane if he jealous of Justin's nose? 'No man,' he told me, 'my little uncle that.' At that point, she said, the incident occurred. Smith said she left the back of the counter to go and check on the guy outside. "As I opened the door there was a little knife on the floor of the shop, almost like a pen, a penknife... it was another knife," she said.